Italian musician Piero Ranalli has a varied background, being a member of Space/Psych/Stoner band Insider, and was also in the now defunct heavy Prog ensemble Areknames. 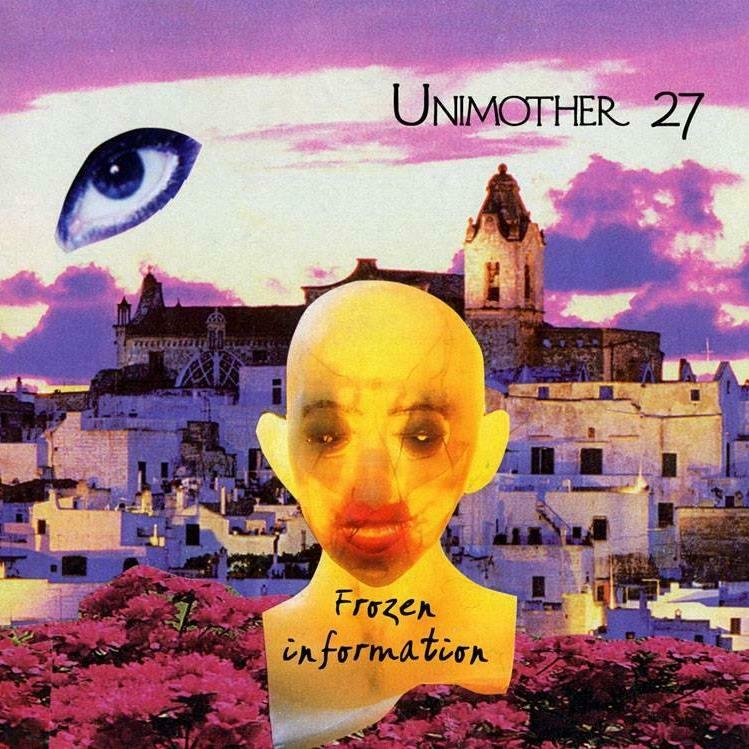 Unimother 27 is the solo vehicle he began in 2006 to explore his diverse Space Rock/Psych/Kraut/Prog interests. Frozen Information is his fourth album and the first since 2008. Ranalli plays guitars, bass, synths and the occasional voicings, with drums and percussion credited to “Mr Fist”. The set opens with Moksha (to Huxley). After a dark Goth-Psych intro we skip through a brief Prog styled segment before launching into a jamming Psych rocker with a cool combination of dual acidic and spaced out guitar soloing, haunting church organ and a commanding rhythmic pulse which trips along until returning to the opening theme for the finale. Parts of this sound like the Bevis Frond gone Prog Rock. Dancing Thought is a bit different, exploring some contrasting but interesting King Crimson and grungy Psych Rock ‘n’ Roll territory. The Oblivion’s Cage is a thematically fluid mixture of spaced out synth work and effects, grungy but pleasantly melodic tune, tribal grooving rhythms and Prog-Psych guitar soloing. Clear Light Healing is an easy-paced melodic spacey Prog instrumental with a fun freaky factor injection in the form of oddball efx’d speaking in tongues alien/chant language, plus more tasty Psych guitar soloing. For Mad Stray Dogs Only is a welcome surprise, being a dynamic Acid-Punk Hawkwind styled space rocker with a motorik pulse. Hymn To The Hidden God begins and ends with a part doomy and part electro sci-fi soundtrack feel, and sandwiched between we’ve got soloing Psych guitar in a cool sorta jam-composed Space-Prog realm. A nifty blend of space theater narrative and trippy exploration. Finally, Brief Moments Of Eternity is a continually gear shifting avant-Prog workout with cosmic atmospheric passages, spaced out Jazz-Fusion meets Zheul vibes orchestrated by Zappa gymnastics, and is the most compositionally disorienting track of the set. Though very different from one another, this and For Mad Stray Dogs Only are my favorite tracks of the set. In summary, Frozen Information includes lots of very cool variety and will appeal those whose tastes span the entire Space-Psych-Kraut-Prog axis.